The results for the Oslo Metro Competition are here: we would of course have loved a first place but are incredibly proud of being second. A big congratulations to Zaha Hadid Architects and A-lab who won the design competition for the Fornebu Centre, our proposal is shown below. Working alongside OneWorks and Planke, with Pir2 and ÅF Lighting as subcontractors we assembled a strong bespoke team to respond to the brief which was released at the beginning of 2018. Competing against world class names such as Grimshaw, Zaha and Nordic is testament to the benefits of the Collective Works model which draws talent from our pool of diverse co-workers. Our proposal “Tree Crowns” suggests a system of single columns and a dynamic platform roof-scape resembling trunks and branches. Integrated dynamic lighting that would change both through the day and the seasons would create a dappled natural light along the platform and assure warm, safe, welcoming and iconic structures at the station entrances. 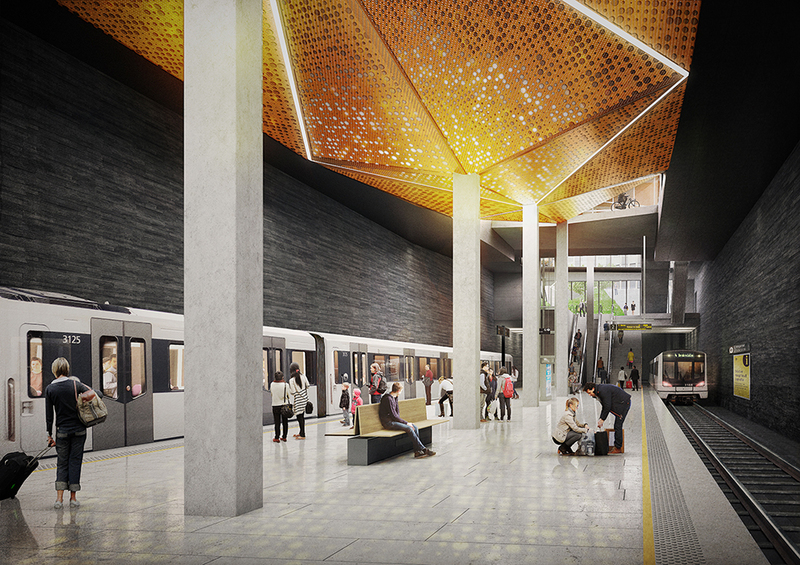 The Fornebubanen is the largest subway development in recent time in Oslo and will be approximately 8.2 km long, extending from the Fornebu Centre to Majorstuen. 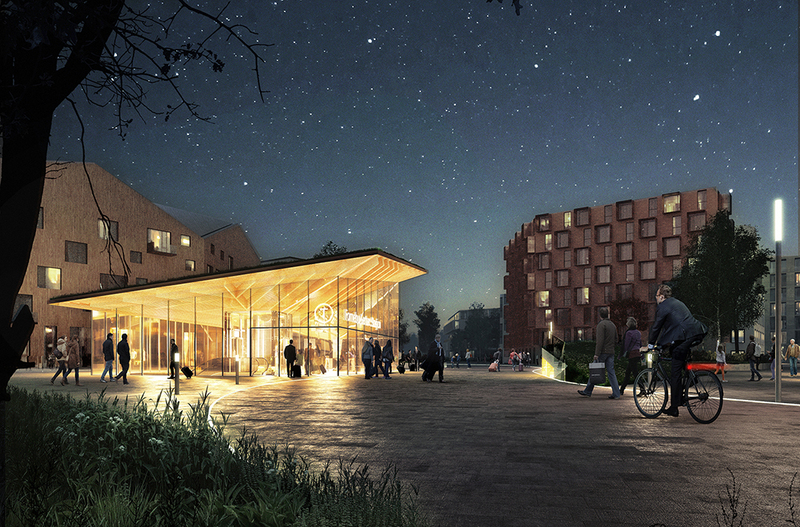 Six new stations will be built along the new line with two stations in Oslo at Vækerø and Skøyen, and four stations in Bærum including the Fornebu Centre, Flytårnet, (Telenor) Arena and a station at Lysaker. 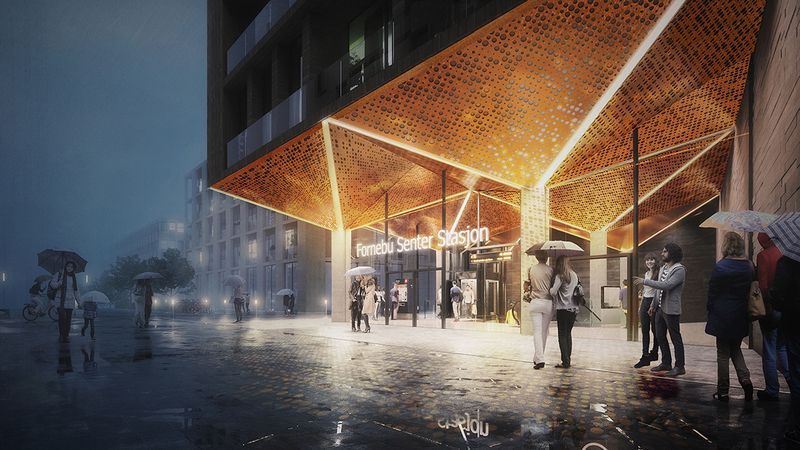 The City of Oslo/Fornebubanen received a total of 85 applications from various Norwegian and international offices wishing to participate in the competition for the architectural design of the stations, of which 14 teams were shortlisted.